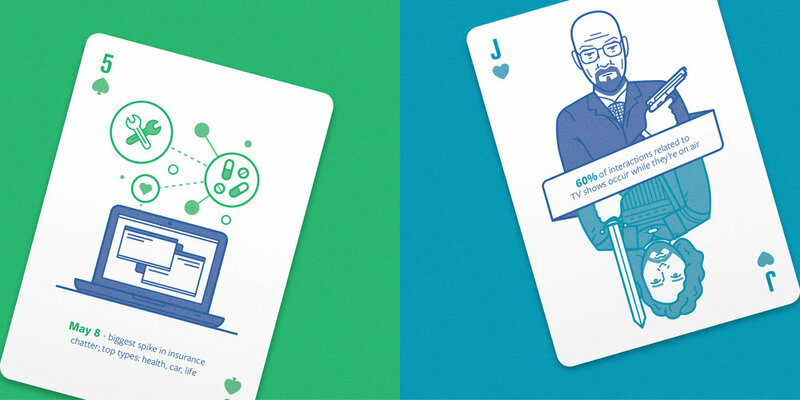 An illustrated deck of playing cards, designed to deal out Facebook's annual marketing insights in a playful and engaging way. Each of the cards told a different story focussed around a specific seasonal insight and featured 52 unique and interesting insights about Facebook and its users, mixing text and illustration to bring them to life. The illustrations featured everything from Santa to Star Wars and Jay Z to Jon Snow, and we even designed a custom box to house them in. 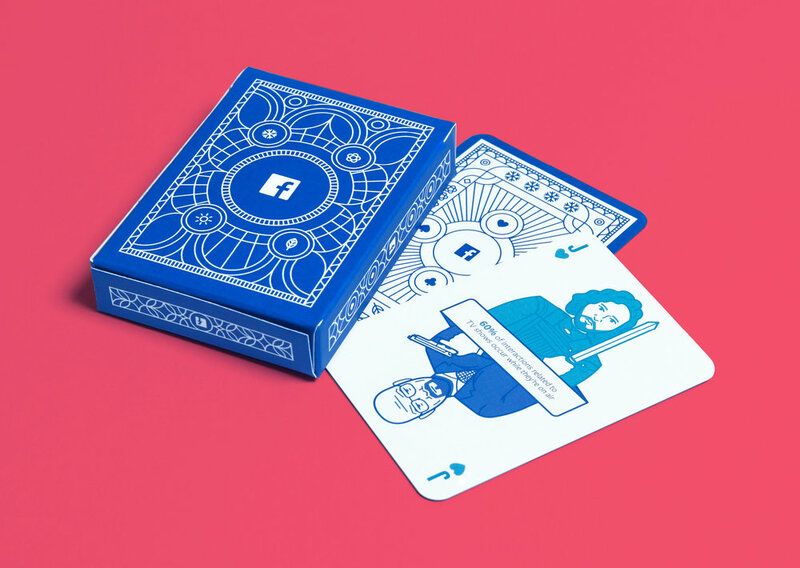 More than 1,000 decks of the playing cards were distributed across key agencies that work with Facebook within the EMEA market. We also created country and language specific packs for France, Italy and Spain with alternative insights and illustrations. The project received a fair amount of praise online and was featured by Adweek, Creative Bloq, and The Dieline. It was also shortlisted for a Drum Illustration award.